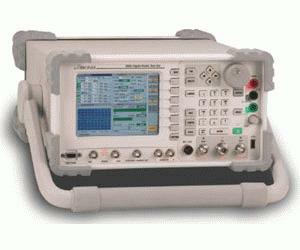 The 3920 is the latest in next generation portable test for advanced professional analog and digital radio communications. New for the 3920 is the Digital Multimeter option, number 3920OPT053. With this option come three new ports on the front panel that are used for measuring AC/DC volts, AC/DC amps, and OHMS.